Dave Smith Instruments have just put out a video that gives us a sneak peek into the Sequential Prophet X synthesiser. An enticing video has emerged showing off the multitimbral, polyphonic chops of the Dave Smith Instruments Sequential Prophet X. 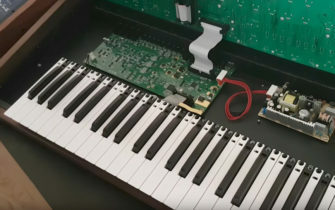 Details are pretty thin on the ground at the moment, but the video reveals two instrument layers and two oscillators that is capable of creating a massive array of polyphonic soundscapes. Check in with Dave Smith Instruments to keep up to date.